Hassan Rouhani has now passed the six-month mark as Iran’s President, after his landslide victory in summer 2013 marked the end of the 8-year rule of Ahmedinejad. His predecessor presided over a period widely considered to be among the most challenging for women’s rights activists in the history of the Islamic Republic. Sussan Tahmsebi, an Iranian-American activist and co-founder of the International Civil Society Action Network (ICAN) reflects on expectations of, and concerns about, Rouhani after his first six months in office. When Iranians elected Rouhani, many felt encouraged by his promise to end the isolation of Iran; hopes for an end to sanctions, spiralling inflation and scarcity and an improved economy inspired them. The concerns of women voters of course largely reflected those of Iranian society in general. Rouhani did however make some specific campaign promises with respect to women’s rights; while they certainly did not meet the longstanding demands of women’s rights activists, his promises did signal a clear departure from the regressive policies of the Ahmedinejad period. For example, throughout his campaign, Rouhani signalled his willingness to establish a women’s affairs ministry, as well as to end the gender segregation enforced in universities by the previous administration, to revisit the approach to regulating Iranian women’s dress in the public sphere, to work towards the equality of employment opportunities, and to address legal discrimination against women. Indeed, his campaign advisor on women’s affairs specifically mentioned re-examining laws relating to personal status, as well as Iran’s approach to the CEDAW. And while some Iranians are skeptical that real change can be brought by any president, (as all candidates must be vetted and approved by the Guardian Council, limiting the choice of candidates), others still hold hope that a gradual process of transformation and reform can significantly improve the status and rights of all Iranian women. It took Rouhani until October 2013 to finally appoint Shahindokht Mowlaverdi as Vice President of the Center for Women and Family Affairs, affiliated with the office of the President. While women activists were happy to have three female VPs (out of 12), two of them reformists with strong experience of working effectively with civil society and women’s groups, they recognize that the position of VP carries less weight than that of a Minister. Rouhani’s failure to nominate a female minister was indeed disappointing to women activists who had pressed for the appointment. Yet, those hopeful that Rouhani’s leadership would bring about some change took comfort in the fact that Mowlaverdi, a reformist with a long record of working on women’s issues, was the one chosen as the VP on women’s affairs and that VPs do serve as members of the Rouhani Cabinet. While Mowlaverdi approaches her work from a religious perspective, her stance towards women’s rights has been positive and she comes to this work with experience advocating women’s rights as a civil society activist. Interestingly, Mowlaverdi also holds a master’s degree in international law and her work has focused on prevention of violence against women, which is good news for Iranian women. In fact, there has been positive news from the Center for Women and Families. Mowlaverdi has appointed a religious scholar to work on the question of how to incorporate more progressive interpretations of Sharia into Iranian law. She has also has promised to re-examine, and attempt to revoke, discriminatory legislation introduced during Ahmadinejad’s two presidential terms, but it is unclear whether she will have the support within the Rouhani administration, the parliament and the Guardian Council to make substantial changes in laws on women’s rights, despite the fact that the need to reform discriminatory laws is being echoed by women from all walks of life, ranging from independent women’s movement activists to conservative women associated with the state. There are some major threats to women’s rights on which Rouhani’s administration has little control. For instance, the Comprehensive Population and Sanctity of the Family Plan, a bill proposed by some MPs is still under consideration in parliament; if the bill is passed, it will serve as a major setback for women. The proposed legislation provides incentives for families who choose to have more children, by providing them with cash incentives and other types of benefits such as early retirement, increased maternity leave, etc. The proposal also gives priority to married men in employment, and gradually institutes the employment of only married people in the education system. The bill promotes pro-natalist policies first introduced under Ahmedinejad based on the argument that Iran’s population is aging. Yet some activists argue that instead of encouraging population growth by providing small piecemeal incentives, implementing coercive policies, and cutting back on family planning programs, the state should instead focus on improving the economy and providing greater opportunities for all Iranians. The proposed legislation is also criticized for favouring male-headed households when, according to official figures, there are some 2.5 million female-headed households in Iran, and in 82% of those homes, the head of the household is unemployed. In fact, these grim figures are believed to be gross underestimates since any adult male in the home is, by definition, the head of the household, even in instances where the man may be infirm, drug-addicted, ill, injured, or otherwise unable or unwilling to support the family. Another major test of the new administration’s mettle will be its position on international law. During Ahmadinejad’s tenure, Iran took a more active role in fighting international guarantees for women’s rights, so observers will be watching carefully to see how Iran positions itself within international spaces — especially at the upcoming 58th Commission on the Status of Women, a space where participation is often fraught for Iranian women’s rights activists. While Iranian women living in the country feel that the space for civil society has been slow to open up, meetings of women’s groups and women’s organizing are now beginning to take place more freely. Different groups are looking to register as formal organizations, marking some progress, and the former editor of Zanan, a women’s monthly shut down under Ahmedinejad in 2008, has obtained a new permit to publish a monthly magazine on women. While Rouhani’s record in the early months of his first term is mixed when it comes to support for women’s rights, many across Iran and the diaspora are relieved that the prospect of war has diminished, that Iran’s isolation has reduced, and that the spiraling inflation has slowed. Though many observers express disappointment in the fact that Rouhani has not taken a more progressive approach, we must remember that positive changes will not take place without civil society putting pressure on the government; reform will need to be pushed from below. For women’s movements in Iran, complementary strategies will be necessary; on the one hand to cooperate and communicate demands to Mowlaverdi and the government more broadly, and on the other hand to pressure the system externally in order to raise attention and push for the rights of women and minorities across Iran. 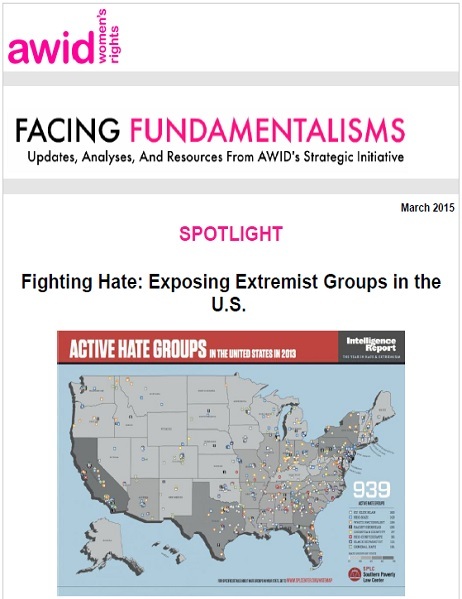 This article was first published in the February issue of the Facing Fundamentalisms Newsletter.